"We selected Davian Shipping ServicesLtd because of their capabilities and professionalism. They always go the extra mile and offer reliable and personal service." "Davian Shipping Services Ltd offer an exemplary service whatever our requirement. Be it transhipping and storage of one small pallet at short notice, or re-palletising and re-stowing a transit damaged trailer." "Davian Business Centre offices are very high quality and very reasonably priced. We have been able to budget our costs for the next three years because of the all inclusive terms. 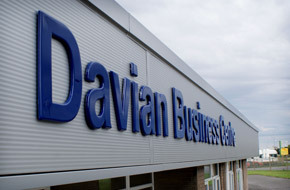 Being based at the Davian Business Centre has projected a positive image of our company to our customers both new and old." 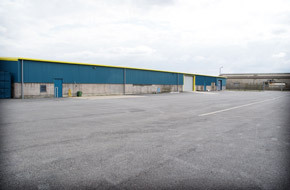 "During our time leasing our unit from Davian Business Centre, we have seen our business increase partly due to our sales campaigns but also because of the quality of the building that we now occupy. Our customers are impressed with the very high standard of the facility that we can now offer them."